NEW YORK, Dec. 16. – A package headed by Bela Lugosi will start a series of one and two nighters, in and around New York, beginning December 26 and running to December 31. The unit, produced and booked by Dave Dietz, will include a magician, six girls, four boys and a gorilla. 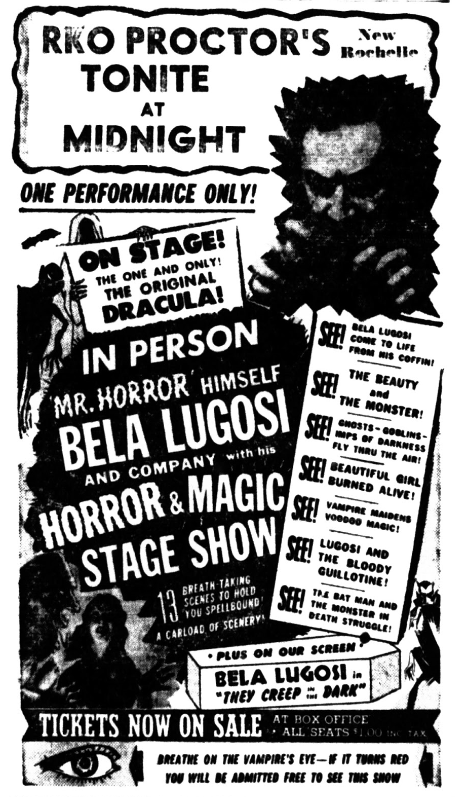 Included will be a Lugosi flicker to run about 60 minutes. The stage show will run less than an hour. There’ll be no music; recordings will be used. Package is being sold at a base rate of 50-50, tho every house will be dickered with differently. Dates so far set include RKO, Paramount and Skouras houses, starting at the RKO Capitol, Trenton, N.J. All shows will be scaled at $1 flat. After the one and two nighters are finished, unit will probably do a week at the Baltimore Hippodrome. TRENTON, N.J., Dec. 30. 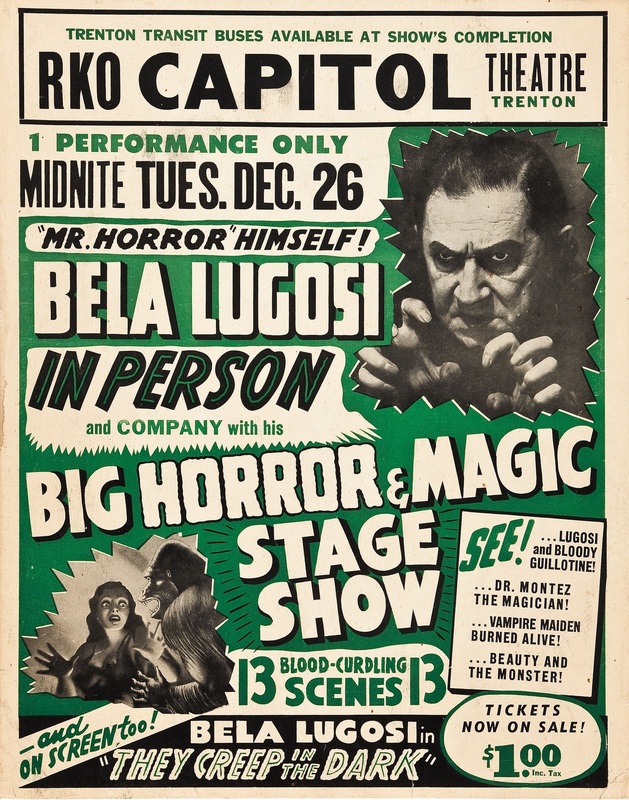 – The Bela Lugosi package preemed at the RKO Capitol here Tuesday night (26) and drew over 2,000 for a midnight showing despite a heavy snow fall. Capacity of the house is 1,875.